After collecting my luggage at the baggage claim area in Istanbul Atatürk Airport, I just followed the sign that said “Otobüs,” and looked for the Havatas Bus at the bus stop on the far right end outside the airport terminal. The bus took me to Taksim Square where the Airbnb I’ll be staying at is located. The Havatas bus runs every half an hour, and costs 12 lira. Please click here for money conversion. Once I arrived in Taksim Square, I met my host from the AirBnB and we went straight to their apartment. Once I got settled in my room and had a few hours of rest, I went out to grab some dinner and enjoyed the evening. 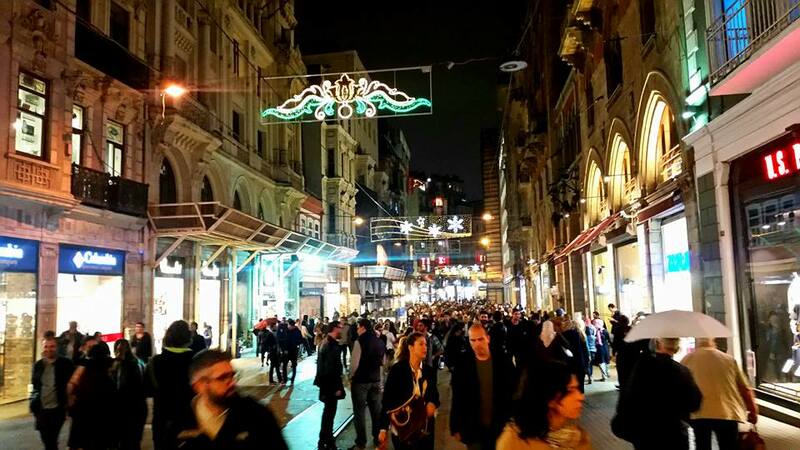 Istiklal Cadessi is a famous long pedestrian street were both locals and tourists alike spend most of their evenings. This elegant avenue gets really busy especially at night. Hundreds of people stroll, shop and enjoy an array of boutiques, restaurants, theatres, cafés, and pubs. 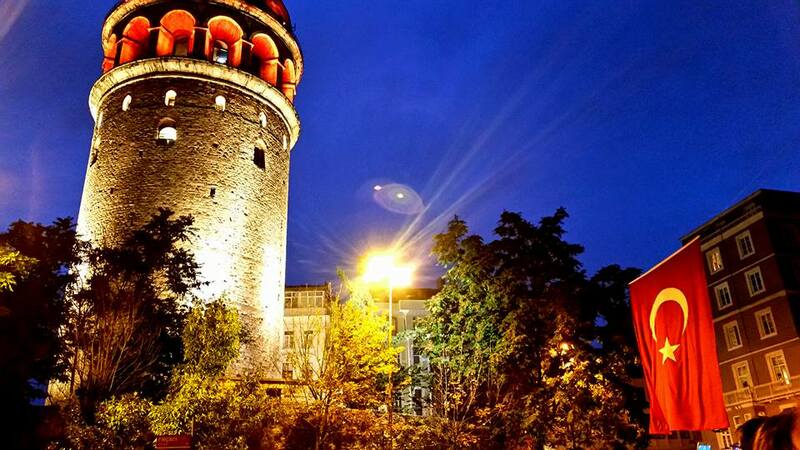 My suggestion when you visit Istiklal Cadessi is you start your walk from Taksim Square down to the Galata Tower. You will definitely not miss the Galata Tower during your walk in Istiklal because the tower stands out, and there are signs everywhere. There is an entrance fee of about 19 lira to get to the top which is nine-story high. They do have elevators so people who are not so keen to work out while on vacation…ahem….like me…no need to panic! Once you reach the top, there is a restaurant with a magnificent 360 degree view of Istanbul and the Bosphorus strait. I recommend you visit Galata late in the afternoon to early evening so that you can enjoy the sunset and lights that illuminate the tower. The view from the tower was breathtaking! The following morning was my first full day of adventure. 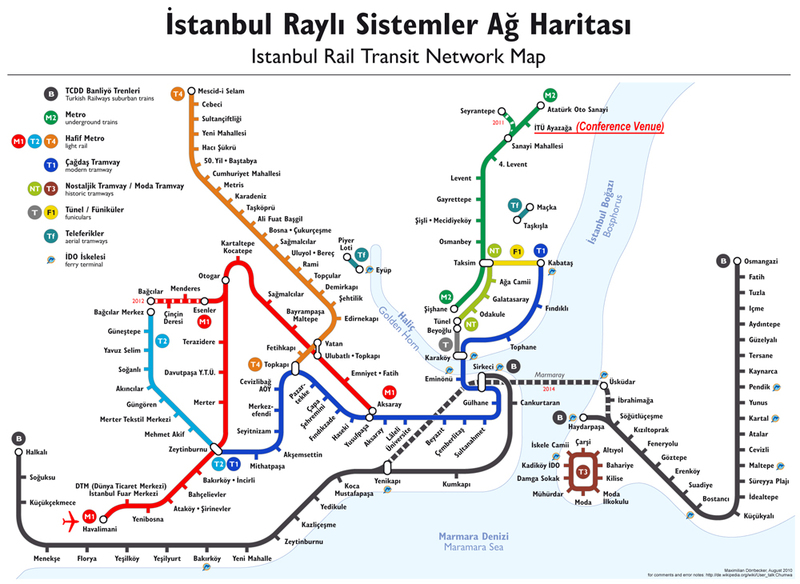 My first feat was to understand their Metro system, and it helped that my apartment was just a walking distance from Taksim Metro. I had to use a funicular from Taksim Metro to reach Kabatas. Once in Kabatas, I rode the train to travel to most of the touristy areas. Local transportation is the cheapest way to go from one location to the other. 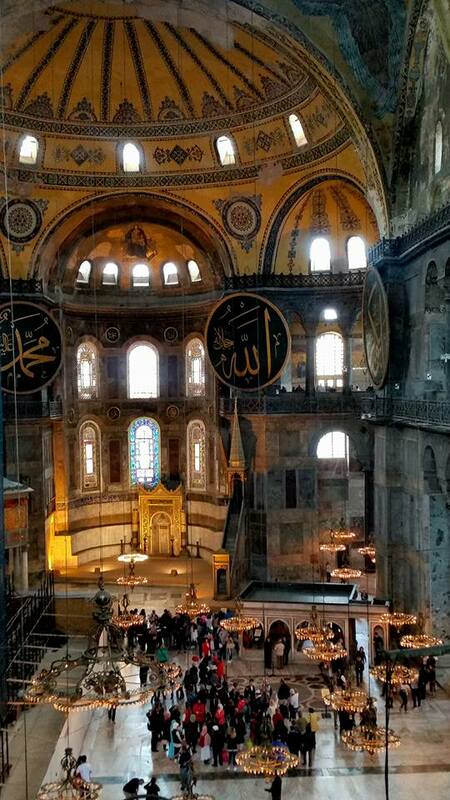 My next agenda was to see the two most famous architecture/structure in Istanbul, the Aya Sofia and Blue Mosque. After I figured out how to navigate the metro system, I went to the nearest Istanbul card machine to reload some money. I have a coworker who just visited Istanbul a few months ago, and she gave me her card so i didn’t have to buy one and that saved me about 12 lira…thanks coworker! After reloading some money into the card, I am off to my first destination. The video below will show you where you can buy an Istanbul Card, then how to load money and other options you can use aside from a card. My first stop was Aya Sofya. When I arrived, there was a queue to get to the ticket booth and main entrance of the museum. 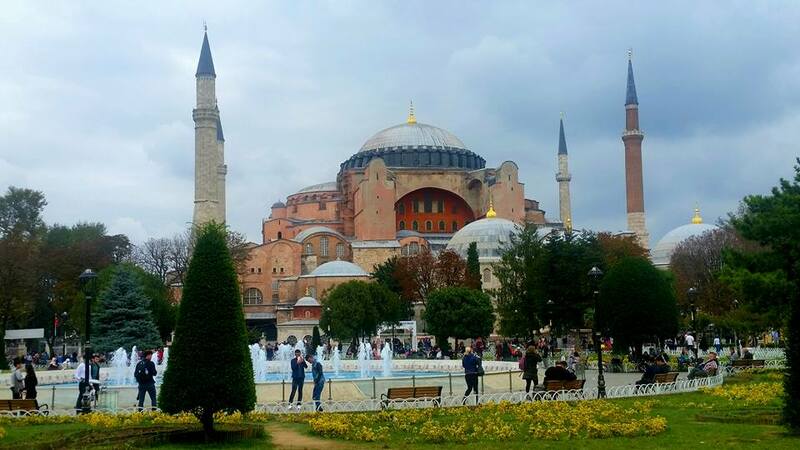 I went there late in the morning since most travel guidebooks recommend to visit Aya Sofya around lunch time or late afternoon to avoid a long line. Or you can purchase a Museum Pass in advance. 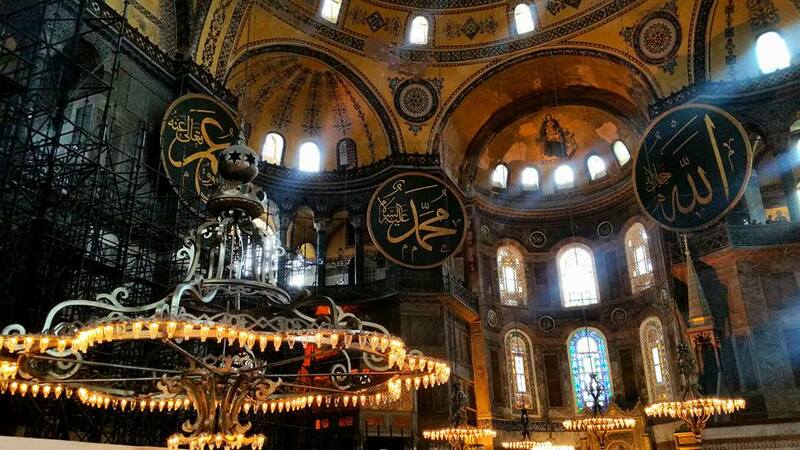 Aya Sofya was originally a Church, then converted into a Mosque and then finally into a Museum by Ataturk in 1934. You can just imagine how much history is associated with this museum. Once I stepped inside and saw the Imperial Door, I felt like I was in a different era. 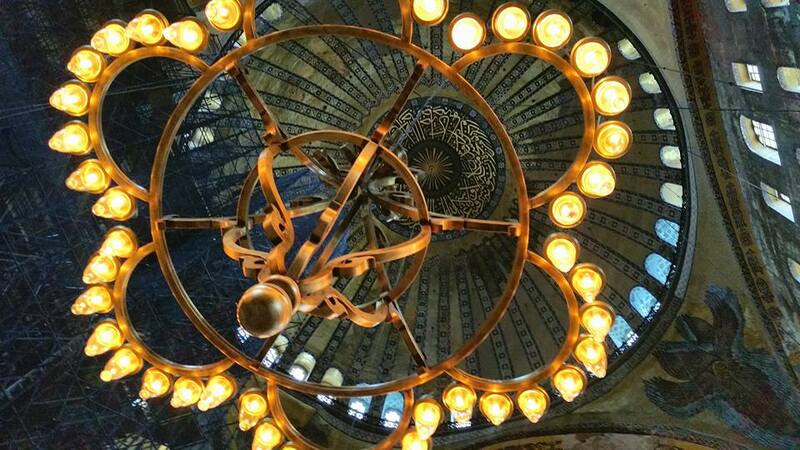 The center was enormous with high ceilings and numerous chandeliers dangling from the ceiling and there were also huge 19th-century medallions with Arabic letters. The dome is an impressive example of architecture. The Mosque is literally just across Aya Sofya. Since it is still an active mosque, there is a sign outside when the mosque will be open for the public and tourists alike. You will notice how magnificent the architecture is, once you enter the courtyard. Before you step in the worshipping area, you need to take off your shoes. They provide plastic bags for shoes and they have shelves outside, but I will recommend to just bring your plastic bag with you when you go inside, and another recommendation is for women to bring shawls to cover their head and shoulder when going inside. 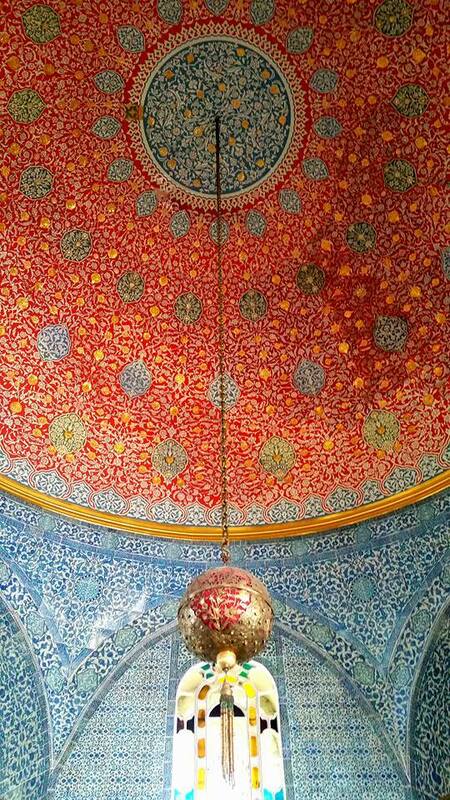 Once inside, you will see blue Iznik tiles decorating the wall. This is probably where the museum got its name. The cistern was also just a walking distance from the other two major locations (Aya Sofya, and the Blue Mosque)and there is a fee to get in. The structure looks small from the outside but upon entering, one can see 336 marble and granite columns welcoming you. The columns are arranged in 12 rows and 9m high, illuminated with some lights which gives an extra dramatic effect. The cistern was built to store water and used to supply the Topkaki Palace. But ever since it was decommissioned in the 19th century, the shallow water became a sanctuary of schools of goldfish that can be seen while walking through the wooden walkways. 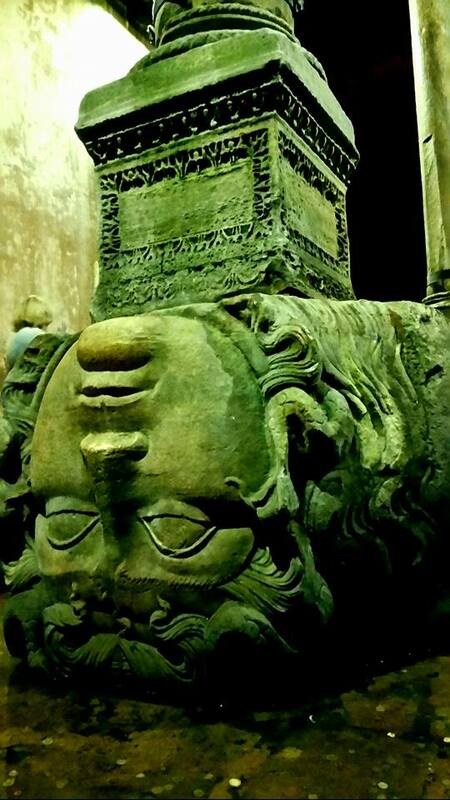 One of the major highlight of the cistern was the presence of two medusa heads, one vertical and one horizontal. When the cistern was still being used to supply water, the heads were not visible underwater. 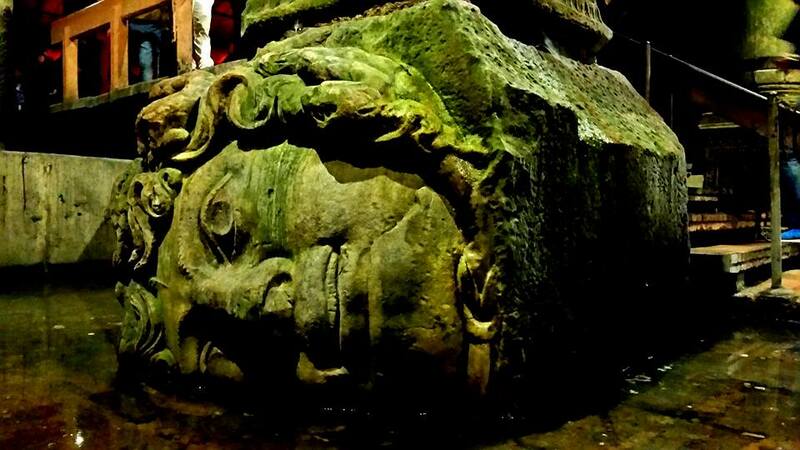 Nobody knows when, why and how the two heads of the Medusa were built under the columns, but the presence of these heads now adds to the mystery of the cistern. The Topkaki Palace is another popular tourist attraction. You have to walk uphill to get to the palace. There is an entrance free of about 30 lira to the palace and an additional 15 lira if you want to visit the Harem as well. 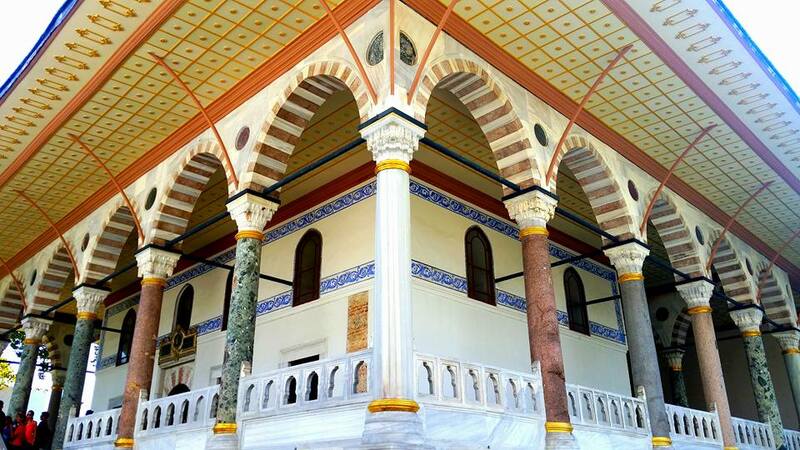 The Harem consists of private rooms where the Sultan and their families lived. And as some popular belief implies, it was also a place where the sultan could engage in debauchery. Most travel guides recommend to visit this part of the palace because the rooms are beautifully and lavishly decorated with spacious grounds and has four courtyards. 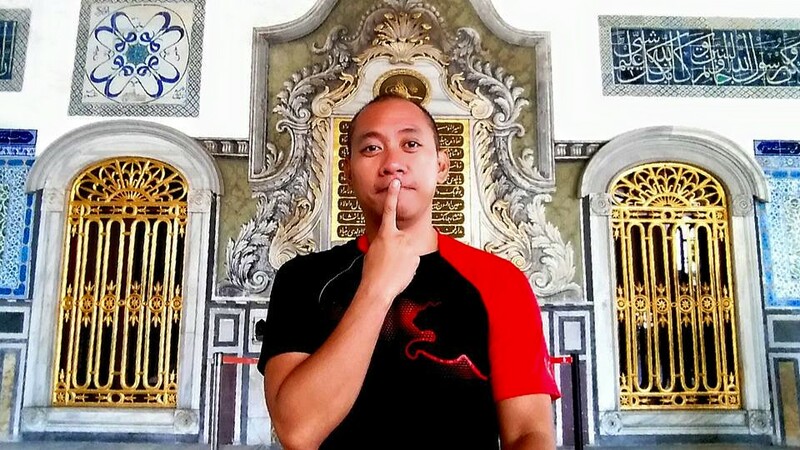 I personally decided not to pay the extra fee to see the Harem, so instead I just settled for exploring the other buildings within the palace (which were still a lot to see). 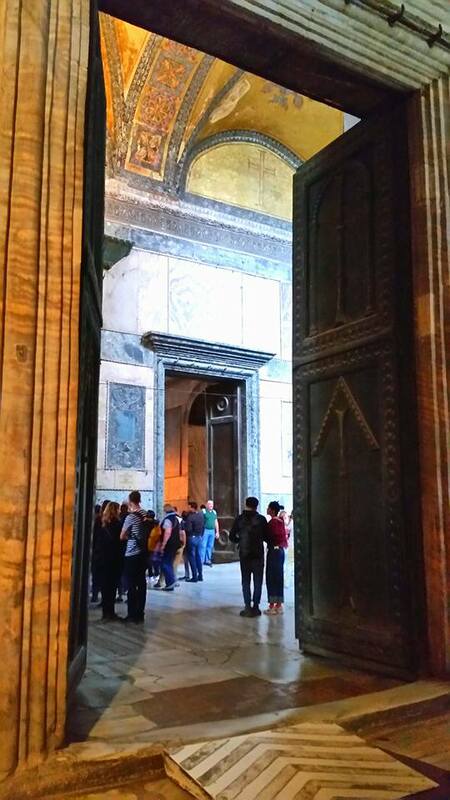 I visited a treasury which also had a great panoramic view of the Bosphorus strait. It had a beautiful garden with numerous buildings that showcase stunning architecture. I could not help but marvel at how magnificent the mosaic designs of the rooms in the treasury. Tiles from wall to ceiling were beautifully arranged into an eye-catching designs. You may need to spend more than half a day in here if you want to see everything. Unfortunately, I only had a limited time so I was only able to stay less than half a day before going to the next attraction. 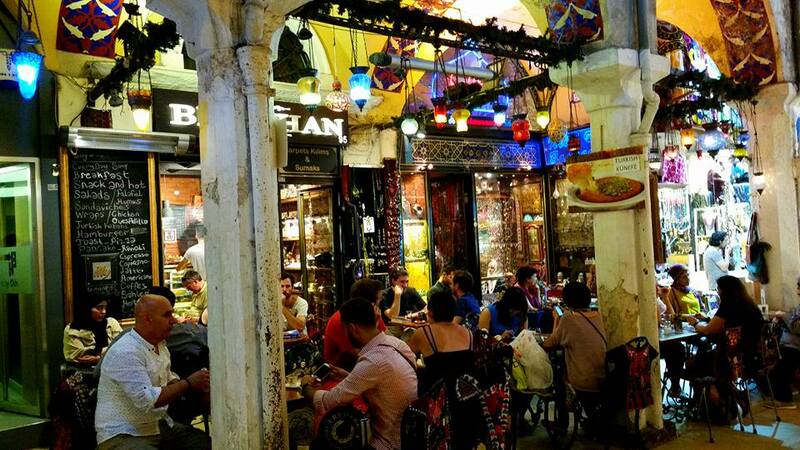 My shopaholic friends would love this place, The Grand Bazaar. I hopped on the train and headed to my next destination which was the Grand Bazaar. Even before I started researching about Istanbul, I already heard about it. Another friend who visited Istanbul a few months earlier was kind enough to lend me his travel guide book which was quite handy to carry around. The book has a map of the market, and I browsed through it prior to my trip. At that time, I was pretty confident I would do fine navigating around the area since it looked easy to figure out. But forget that!!! Coz once I was inside the Bazaar, i felt like a rat in a maze. I started making turns thinking it will lead me to where i started but no luck with that. To make the long story short, I ended up getting lost inside. The whole place was divided into parts depending on what products they are selling. This almost reminded me of a similar place in the Philippines called Divisoria. The only difference I can think of, is that the Grand Bazaar is more organized and cleaner compared to Divisoria but the concept is still similar. And since I was lost already, I decided might as well just wander around and if I see a door that leads to the outside, I’ll just exit there. After a gazillion years, I finally saw the light at the end of the tunnel… a door out….whew…I really thought I would end up living there….which is probably not so bad since the Bazaar has everything I need to survive….ahahaha. Okay back to my dilemma….well of course with my luck, it was not the same door I came in from, so I got lost again outside! But thanks to my google map, i was able to get back to the train station. At the Bazaar, I ended up just window shopping and did not purchase anything because I didn’t have much space in my carry-on luggage…which kind of sucked coz there were a lot of pretty cool and unique stuff being sold there… but hey at least I got to save a few bucks, right? And like any other marketplace, you can see and hear people trying to bargain for various merchandises. A word of advice, if you want a good deal you should definitely sharpen your bargaining skills before coming here. After becoming a little dizzy with the spices, products, jewelries etc. found inside, I felt it was time for me to relax and head to my next adventure, a Bosphorus Cruise. 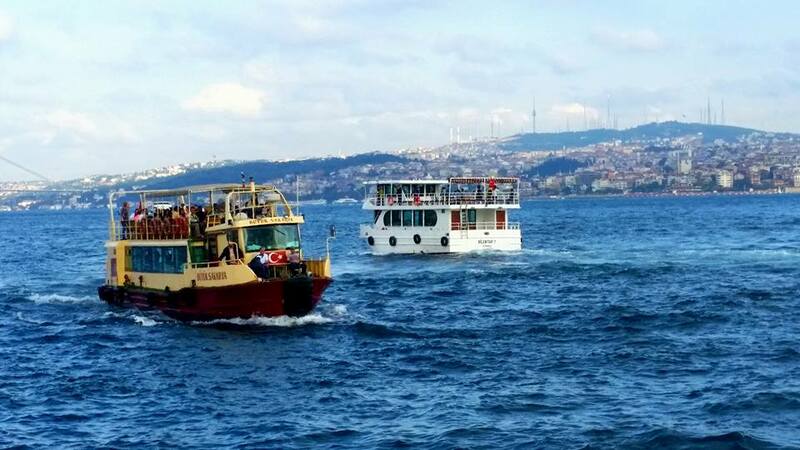 On my last full day in Taksim, I took the Bosphorus Cruise so i can relax from my hectic sightseeing adventures. I was glad I only waited a few minutes before the next scheduled cruise. You have a choice between a short and a long trip. A short trip lasts about 2 hours crossing a few bridges, while the long trip will cover the same area with a few more bridges and I think an opportunity to hop off in one of the ports. I opted to just do the short trip. There is a fee of course to get on board. Nothing comes for free anymore, I tell yah! 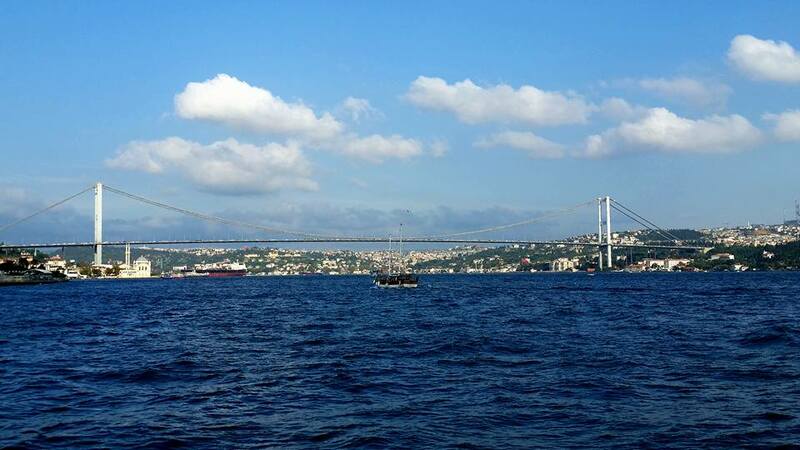 The Bosphorus strait runs from the Galata Bridge to the Black sea. This strait during the early times was crossed by several merchants, armies, and of course fishermen. During the tour, the boat started on the European side of Turkey. You will see a lot of mansions, walled fortresses and palaces around the area. Tip: to have a spectacular viewing experience while the sun is setting, go there around late afternoon/early evening. Then after enjoying the European side of Turkey, we crossed this time to the Asian side which pretty much houses almost the same beauty of what the European side has. After a long and tiring day of sightseeing, it was time for me to head back to Taksim. I ate dinner, had a few drinks and went back to my apartment to pack & sleep since i have a morning flight the following day. 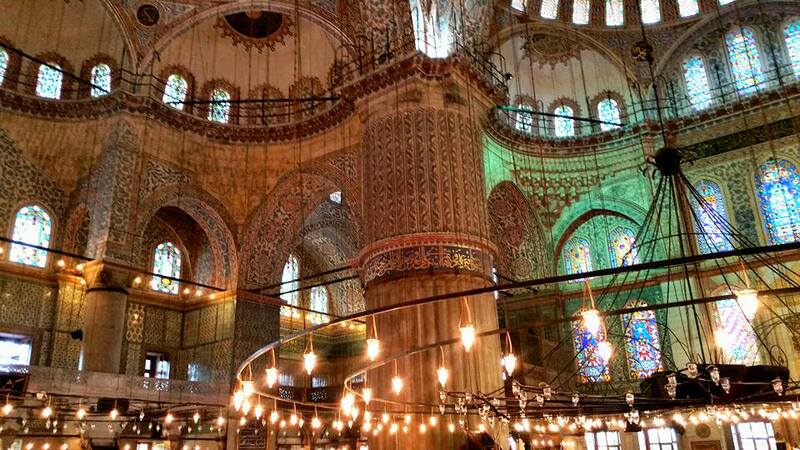 When I arrived in Taksim, I realized that I have not tried an authentic Turkish Bath yet. And what better place to experience a Turkish bath? ….but of course Turkey! You have so many choices, from luxurious to budgeted ones. I asked for recommendations from the front desk receptionist, as well as some of the locals, and most of them suggested a hammam where they usually go. It’s definitely quite an experience! I did the whole package (1.5 hrs) – an oil massage, scrubbed, foamed, bathe, and dried off just for $30 dollars. After that refreshing experience, I stayed a bit longer and enjoyed my time inside the facility. I can probably write another blog for my first traditional turkish bath experience since there were so many bloopers and funny moments that happened while i was there.Nobody really spoke english so I had to do a lot of gesturing as a way to communicate. I guess playing charades in parties really paid off…. Overall, it was a great and very memorable experience! 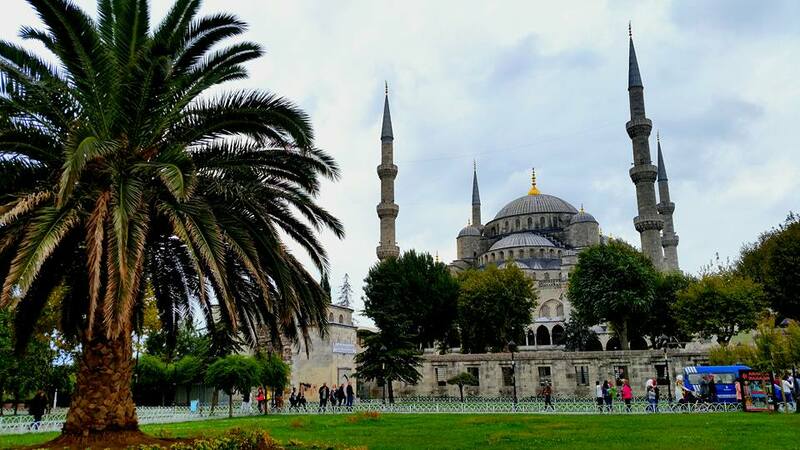 I wished i could have stayed longer in Turkey because there were still soooo many things to see and do in Istanbul alone since most of the main tourist spots can be seen there. And aside from Istanbul, there are still other cities that houses some of the magnificent views and spots that I want to visit. Now I can’t wait to go back.